The Worland Community Center Complex (WCCC), is a Joint Powers Board owned community center, once funded through a Washakie County General Sales Tax, program revenue, and to date, $4,499,000.00 in Grant funding. The WCCC seeks to benefit Washakie County through the improvement of social services, educational opportunities, recreational activities, family unification, health care, and business growth. We have a state of the art conference training center and training classrooms, we offer community development, educational classes, health and fitness, and youth and adult sports, all located in our facility. Call the WCCC for more details on our conference room, kitchen and other facilities at (307) 347-8616. We can now book wedding receptions, banquets and large conferences with catering! The WCCC partners include the City of Worland, the Town of Ten Sleep, Washakie County, the Washakie Development Association, the Worland Senior Citizen's Center, and the Worland Rec Board. The WCCC houses the Northwest College Adult Education, Washakie County Learning Center, the Tobacco Prevention Center, the University of Wyoming Washakie County Agricultural Extension, the State of Wyoming's Vocational Rehabilitation and Work Force Services. 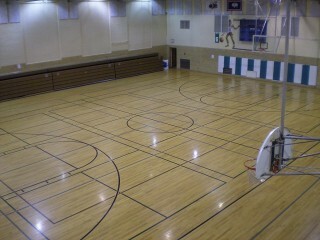 The WCCC has 2 gymnasiums which are generally open throughout the day. The gymnasiums may be booked or reserved so please call for availability. The WCCC provides many different sports activities for youth as well as adults, including, but not limited to: gymnastics, dance, karate, music, basketball, volleyball, soccer, flag football and softball. There are still many more opportunities yet to come. Contact the WCCC if you would like any further information. The WCCC conference room is designed for up to 200 people and is available for rent on a four or eight hour basis only. This spacious, state of the art conference training room is available to local and outside groups for large or small training sessions, conferences, or other types of meetings. The WCCC also offers small individual training rooms available for full or half day rentals. This is perfect for corporations or groups that do not need the full training facility. The conference room facility is $75.00 minimum for four hours or less intervals or a $150.00 per 8 hour day, and the 2 individual training classrooms are $75.00 every 8 hours and $40.00 for four hours or less. (Non Profits) may have adjustable rates. WIFI is located throughout the building and a full commercial kitchen is available for meetings or for rent alone. Too busy? Let the WCCC do all the work for you and your meeting, contact our Event Planner, Sheryl Ley and she can take care of meals, caterers, tours, hotels, etc. The WCCC gym's and ball fields are also available for rent for special events, please call the WCCC for rates at (307) 347-8616.
about our training facility, courses offered, and sports activities.